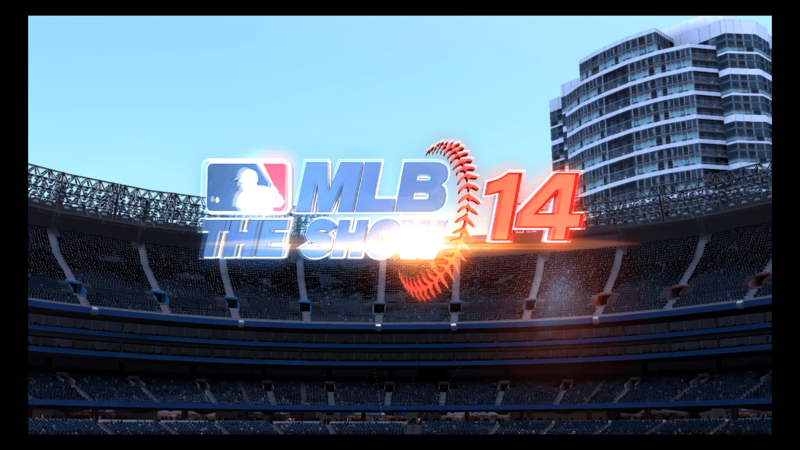 With the long Victoria Day Weekend here in Canada, I finally found some time to crack open my copy of MLB14 The Show! It had been staring at me for a long time, calling to me, begging me to play it. It seems like I am too old to be tempted so fiercely by video games, but there it is. What are you going to do? And, with Brett Lawrie on the cover, the temptation was even greater. Jay seems to think I have a “man-crush” on Lawrie…. 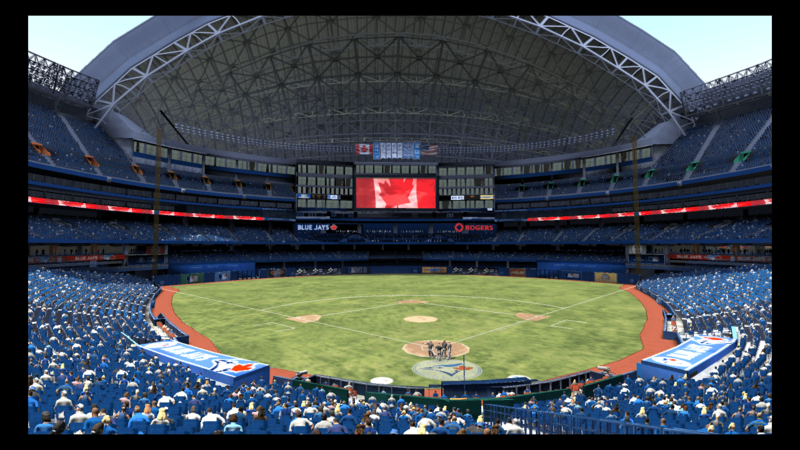 Anyway, I was really looking forward to seeing how the Toronto Blue Jays looked in this installment of MLB The Show. Every year I am interested in the ratings they give Canada’s only team. Being that it is still May, I enjoy looking into a simulated future to see if there is even a glimmer of hope that this could be the year; the year the Blue Jays make it to the post season. Yes, it is THAT bad. I’m looking to a PlayStation game for hope. Here’s how I played: Scenario 1: I set the roster as closely as I could to Opening Day 2014 and simulated the season. Scenario 2: I blew up the team and dove deep into money saving mode; not quite rebuilding…but more on that in a bit. Scenario 1: Using the current roster, MLB14 gave the Blue Jays the rankings below. I’m not so sure the rank for defense is fair considering how well the Blue Jays are actually playing. With me at the helm, the Blue Jays finished Spring Training with a record of 15-14, which is a bit worse than their actual 2014 spring finish of 16-13. As of Opening Day, Nelson Cruz and Ervin Santana had not signed with any clubs. Santana would go on to sign with the Rays in May. More on Cruz in a minute. I tried to match up the roster to the real life Opening Day Roster. That proved to be difficult since Drew Hutchison could not be found anywhere within the game. So, J.A. Happ took the final spot in the rotation. Relax, it’s just a game. Here’s how the lineup looked: The number next to each player is the MLB14 player rating. I think Jose Reyes is ranked a bit high, but Jose Bautista and Edwin Encarnacion are ranked low. Everyone else is more or less fair. –Bench: Ryan Goins(65), Josh Thole(66), Moises Sierra(62) *I kept Ryan Goins on the bench because I just couldn’t bring myself to make him the starting second baseman. Once I had the lineups set, it was Show Time! The game makers must have been paying attention to the Blue Jays over the last couple seasons because they certainly had the injury big built into this simulation. Here’s (who) what went down and the corresponding roster move. I tried to keep as closely to what Alex Anthopoulos would do (whatever that is) with regards to call ups, etc. –April 5th– Brett Lawrie hit the DL for 1-2 months with a broken forearm. I called Kawasaki (68) up, moved Goins to 2B and Izturis to 3B. That seemed to be the most AA-like move. END OF APRIL- The Blue Jays had a record of 18-9 and were in 1st by 2 games. It was a great start! –May 3rd- Melky Cabrera went down with an MCL sprain for 3-4 weeks. I brought Gose (65) up and moved Izturis in 2 hole. It seemed the most logical move with Lawrie injured. –May 10- The big blow came when Jose Bautista fractured his wrist and was out for 2-3 months! This had me really concerned because, at this point, the Blue Jays were in first place. I wanted to stay there. So…I broke down. Nelson Cruz was still available. I signed him. But, I did it as cheaply as I could. I tried a one year deal. No dice. I had to offer 2 yrs/$15 MM. This move is obviously not realistic for a 2-3 month injury, or for the caliber of player that Cruz is really, but I’m in first place…and it is a video game. –May 24– I got some good news when Melky Cabrera came back. I quickly sent Gose down – This is more like real life than video game. Anthony Gose has been on a yo-yo for a long time. –May 29– My boy, Lawrie, returned. I had to send Kawasaki down. At that point, Goins was actually hitting better than Izturis. So, Izturis went to the bench. END OF MAY– I was on fire! The Blue Jays were 36-21 and in 1st by 7 games! Dickey had a 6-1 record while Mark Buehrle was also lighting it up at 8-2. –June 26- Ryan Goins fractured his hand and would hit the DL for 2-3 months. I was excited to call Kawasaki back up. END OF JUNE– The Blue Jays were still in first, but their lead had shrunk a bit: 49-35, in 1st by 4.5 games. –July 9– Jose Bautista came back! I had to make a roster move. So, Sierra was released to mimic the real life waiver claim from earlier this season. I was left with a dilemma: What to do with Cruz? He was struggling! (.209, 9HR, 25 RBI in 92 games) I needed a solid bench outfielder with Sierra gone and Cruz struggling. I tried to trade for Josh Willingham (.263, 26HR, 68RBI) with Twins; he was on the trading block. No dice. I kept Nelson Cruz on the bench for the remainder of the season. Again, it is a video game. There is no way Cruz struggles that much in real life. –July 11– Josh Thole returned. So Kratz went down. Poor Erik Kratz. I feel like he deserves to be with the big league club. But, I had to keep close to reality. –July 7– Delabar tears his shoulder and went to the DL for 2-3 months. I guess the creators of MLB14 had never heard of the Velocity Arm Care Program. Maybe they should have read my piece. Regardless, Neil Wagner(61) was brought up to take Delabar’s spot. –ALL STAR BREAK– 5(!) Blue Jays made the All Star team- Janssen, Reyes, Encarnacion and Navarro. The American League won the game 6-5 to secure home field advantage in the World Series. Encarnacion was in the HR Derby. I stopped the simulation and played it as EE against Miguel Cabrera, Freddie Freeman, Aramis Ramirez, Robinson Cano, Josh Willingham, Matt Kemp, Jay Bruce. I hit 10 bombs in the first round to finish 2nd to Matt Kemp‘s 12. I hit another 10 in the second round. It was me and Matt Kemp in the final round: Kemp hit 0, so one did the trick. 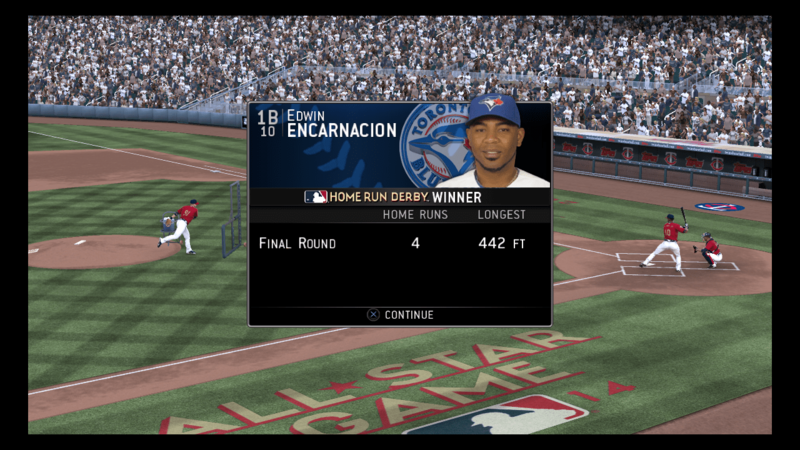 I walked off the Derby and Encarnacion was the 2014 HR Derby Champ with 21 HR! At the All Star Break, the Blue Jays were 55-41 and in 1st by 2.5 games. They ranked 1st in RBI (480), Runs (483) and HR (135). Some notable performances: Encarnacion- .299/29HR/100RBI, Lind- .275/19HR/44RBI, Navarro- .272/16HR/47RBI, Dickey- 10-3 2.76, Buehrle- 14-4 3.45, Morrow- (healthy!!!!!) 5-5 5.17, McGowan 4-8 6.80, Happ 5-8 6.27, Loup- 7-5 2.14, Janssen 1.37 28 SV, Santos 0.95 ERA. END OF JULY– –Trade Deadline– Shockingly, there were no bites on Nelson Cruz. He was struggling so badly, I wouldn’t have made an offer either. The team had a record of 64-46. I tried to trade Cruz for pitching for a play off run. Nothing. I placed him on waivers. He cleared. I was stuck with him. The Post Waiver Deadline came. I was desperate to unload Nelson Cruz. I offered Cruz for Jake Peavy, Shelby Miller, Doug Fister and Alex Cobb. These were the only deals that could be made within the budget. No takers! I was stuck with a WAY under performing Nelson Cruz. It ended up that there was NO DEAL to help with the drive to the post season. I had to make due with the roster as it stood. –Aug 8– Rasmus went down with an ACL sprain for 3-4 weeks. I called Gose back up. END OF AUGUST– The Blue Jays were still hanging on at 80-55 and in 1st by 5 games. –END OF SEASON– Under my strict micro-managing, the team finished 95-67. They won the division by 8 games! Boom! Playoffs, baby! Encarnacion led the league with 43 HR and finished 3rd in MVP voting. Dickey led the league in ERA (2.35), WP (.818%), CG (10), Innings (241.1), WHIP (1.00). He took home the Cy Young Award! It was a very successful season. I wasn’t even ashamed of dipping into the free agency pool to pick up Nelson Cruz. I thought the results of the year might be skewed because of this move. They weren’t. He ended the year with a .209 avg and 6 HR. He wasn’t even a factor. The Blue Jays faced the Detroit Tigers in the first round of the playoffs. They lost in 4 games. Just like that, my season was over. The Atlanta Braves went on to win the World Series. Despite being total fantasy, this simulation actually lifted my hopes a little. If the Blue Jays can perform like this, we’ll be laughing in September. It actually helps solidify (Yes, I know it’s fake) for me the notion that this is the same team that was picked to win last season. They are good enough to win. I know because my PlayStation told me so. -Tampa Bay agreed to Matt Moore, Chris Archer, Alex Cobb! Considering I was looking to unload Dickey and Buehrle, I jumped at this. DONE! I picked up 3 solid pitchers who are young, controllable and cheap. Detroit agreed to give up Victor Martinez and Drew Smyly. DONE! Martinez is still a larger contract than I would have liked, but I needed SOME pop. Arizona parted with Mark Trumbo, Didi Gregorius, Cody Ross. DONE! Gregorius became my starting short stop and Trumbo went to right field. Ross rode the pine. Rasmus, Lind and Happ remained on the block with NO takers. *Remember, this is purely a salary dump. There is no way that the teams involved would take these deals in real life, but…it is a video game. So…. The Blue Jays finished April 15-12 and just 1 game back. They were still hanging on in May and stood 2 games back at 30-27. Then it got worse: they finished June 42-42 5.5 games back. The only bright spot at that point was Victor Martinez being named to the All Star team as a reserve. It would get worse, though. The Blue Jays wrapped up July 52-58 and 10 games behind. I still had no offers on Lind, Rasmus or Happ. August did not get any better. At the end of the month, they had a record of 59-76 and sat 15.5 games back. The disappointment continued. Mercifully, the season ended and the Blue Jays were 72-90! They ended up 19 games back of the Rays. I’m taking full credit for the Rays success as the earlier trade probably helped a lot. They made it all the way to the World Series, but lost to Braves. Follow the Blue Jays’ minor leagues? The 2014 Toronto Blue Jays Minor League Handbook, your ultimate resource, is now available as an ebook at Smashwords.com for $7.99 US. It’s coming soon to Amazon, Apple iBooks, Kobo and other fine retailers. You can purchase and preview the book at our Smashwords.com page! If you like us here,“like” us on Facebook!